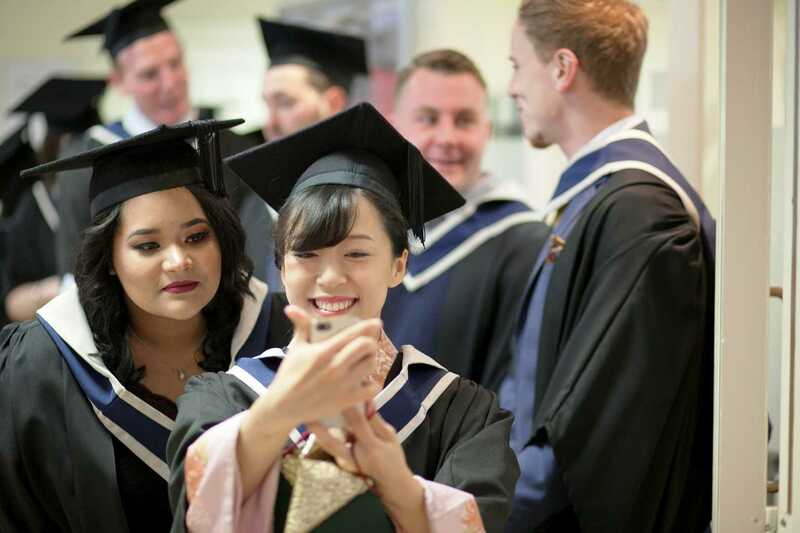 The Bachelor of Business degree is awarded by Galway Business School on behalf of Quality and Qualifications Ireland (QQI). This programme is designed to give you a clearly structured, yet innovative education in business which will provide you with a solid foundation for success in your future career. You will develop the employment-focused, transferable skills necessary to perform in a business environment. In doing so, you will learn to effectively communicate information, ideas and solutions. The Bachelor of Business will equip you with the ability to critically analyse and comprehend the latest thinking and best business practice through real world scenarios. The Bachelor of Business degree programme takes place in Galway on the west coast of Ireland. It is awarded by the Galway Business School on behalf of Quality and Qualifications Ireland (QQI). The Bachelor of Business degree is programme is designed to give you a clearly structured, yet innovative business education. "Today's business world is rapidly evolving..."
The key to success is creativity and innovation. This course reflects both best practice in business education and relevance to the real world. As a graduate of our programme you will emerge confident and work-ready. Business graduates are in high demand worldwide and the diversity and multitude of careers with this business degree underlines its appeal for many students. Acquire knowledge of key business frameworks, models and concepts to enhance your skills in today’s dynamic business environments. Throughout the course your confidence will grow in analysing and planning business strategies in areas of management, finance and information systems. You will learn key problem solving abilities that will allow you to sort and interpret data which ensures you can plan, design and implement effective business processes. The course will enhance your communication techniques so you can communicate competently, confidently and informatively with your peers and business managers. Through group work which takes place in class and within assignments you will be prepared to partake effectively in any organisation's multidisciplinary settings. "I am forever grateful to the helpful staff and inspiring lecturers who delivered the material so professionally and made learning so enjoyable"
This course is delivered in both a full-time (Day) basis. Students will benefit from Blended Learning which incorporates both Face-to-Face lectures and online activities. In addition to this, throughout the semester workshops and demonstrations will lead you towards a better understanding of your coursework. The course places an emphasis on the practical application of theory. This is supported by problem based learning through various mediums, such as case studies and group activities, and research based learning such as business research projects. On-line business simulations and new business planning projects, will foster imaginative thinking among you and your classmates. "Our small class sizes ensure you have close interaction with our industry experienced academic team who are passionate about motivating you to achieve your best." The entry requirements for the Bachelor of Business degree programme requires applicants to hold a minimum of 5 passes in the Leaving Certificate O6 /H7 or a High School equivalent for more information visit the CAO website. GBS welcomes Leaving Certificate Vocational Programme LCVP Holders and applicants who hold a full FETAC Level 5 award (8 modules). Please apply in the normal way through the CAO system, course code GB001. Mature students who wish to apply using their Leaving Cert results can do so through the CAO system. However, mature students can also be considered on the basis of their previous education, work experience and demonstration of their competence to undertake the programme. Mature applicants must have qualifications and experience deemed equivalent by the College’s QQI approved Recognition of Other Learning (ROL) and Recognition of Prior Experiential Learning (RPEL) policies. If you wish to apply based on these requirements please contact the college directly at admisssions@galwaybusinessschool.ie. You will be assessed through a combination of continuous assessment and examinations throughout the programme. Continuous assessment can take the form of written examinations, individual or group projects, mock interviews and presentations. The job roles that are open to graduates of bachelor of business degree programme after completion their course are Management positions in Marketing, Business Development, Finance, HR and IT roles in multinational and small to medium-sized enterprises in Ireland and around the globe. A Bachelor of Business degree is the first step to a successful life in business and it can get you to wherever you want to go in your career.